You may have heard people ask, "What is the purpose of the Garland Chamber Commerce?" The function of the Chamber is to serve as a catalyst – a vehicle that brings all of the parts together, in order for business people to work in a coordinated effort for the common goals of the community. The Chamber works with our Members, the City, the School District and other organizations to ensure that Garland remains economically viable. We provide networking opportunities, training options, a wealth of resources and much, much more. We listen to our Members and work very hard to meet their needs. We invite you join The Connecting Source –Garland Chamber. Mission: As servant leaders, the Garland Chamber is the trusted unifying source for sustainable business growth. Vision: The greater Garland community will enjoy a sustainable high quality of life with a vibrant and varied business environment. The Chamber-founded Dallas County Manufacturers’ Association works to provide resources to Garland’s substantial manufacturing community, made up of both small and large manufacturers of widely varied industries, through access to training, connections with industry leaders and programs for continuous improvement. As part of the Garland Economic Development Partnership, the Chamber works to recruit new business, retain existing business and ensure the Garland economy continues to grow. Garland’s unique and nationally-recognized Economic Development Partnership brings the Garland Chamber of Commerce, the City of Garland, the Garland Independent School District and the Dallas County Community College District together to attract and retain business in our community. This innovative approach allows us to provide progressive services to both our small and large businesses. 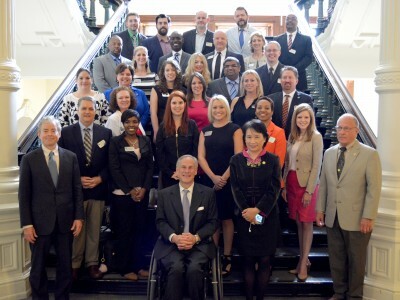 Leadership Garland, a program of the Garland Chamber of Commerce, was founded in 1979 and is one of the longest-running leadership programs in the state of Texas. The purpose of Leadership Garland is to provide corporate leadership training; to motivate and encourage civic leaders; and to develop personal leadership characteristics and skills within individuals. The primary purpose of the Chamber’s Legislative Affairs committee is to monitor governmental matters that could impact the community or local business, present recommendations to the Chamber's Board of Directors, and to assist in the initiation of the appropriate action. 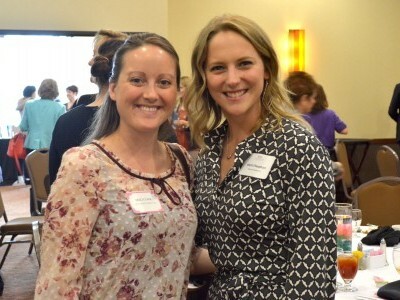 The Garland Chamber created the Women’s Business E-nitiative to help strengthen women’s business opportunities in Garland by providing leadership development opportunities to hundreds of women in the Garland area through female-focused educational events.